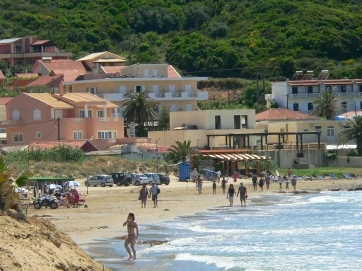 It is one of largest and quieter beaches of Corfu. It was developed as a tourist resort in the third quarter of the 20th century. 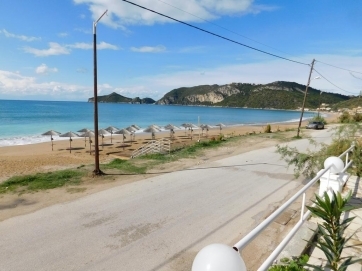 Agios Georgios is a well organized tourist resort providing all the comforts and all the necessary tourist infrastructure both on the beach and on accommodation. 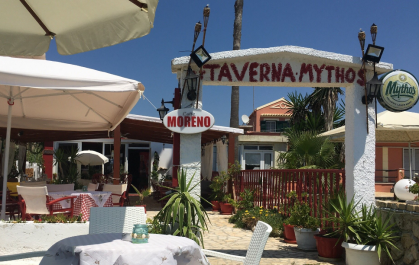 You find bars and tavernas along the length of the sand and shingle beach. Georgios has a few old buildings, including the Saint George church and the Tsimpougis house. Ruins of an older settlement that was destroyed by a landslide are situated on the beach. 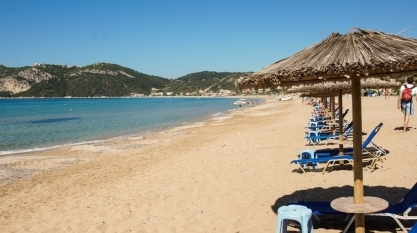 As a Blue Flag beach offers umbrellas, sun loungers, water sports and boat rentals useful for a visit to the neighboring Porto Timoni, a beautiful double sided beach beneath the village of Afionas. 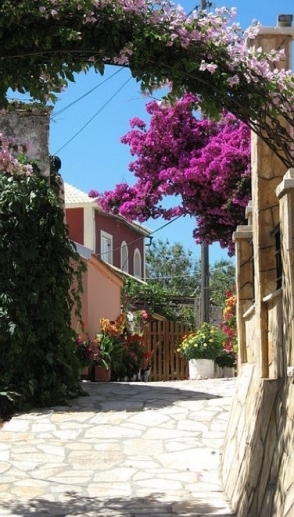 Afionas, with stunning views of the sunset and some excellent taverns, the road to the village is extremely uphill. 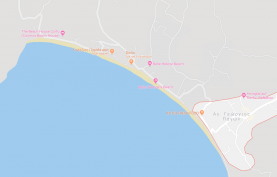 Also nearby are a couple of other nice beaches, Arillas Beach to the south of Arillas and Agios Stefanos beach to the north. Take a look for info, things to do and Shops here!